Baselworld was an interesting one this year. In a year that’s so far been filled with uncertainty for Switzerland, the sense of uncertainty was still very much in the air, albeit to a far lesser extent than when SIHH took place in January where the unpredictability of the Swiss Franc and how badly it would affect Swiss exports dominated the show. To my surprise however, the onslaught of smart-watches wasn’t as prevalent among the bigger brands as I would have expected. Overall there was a good mix of innovation and reinterpretation, especially among some of the independent watchmakers and brands. There weren’t as many bonkers concept watches as there usually are, which left a lot of room for simpler watches and different variations on existing collections to take center stage. 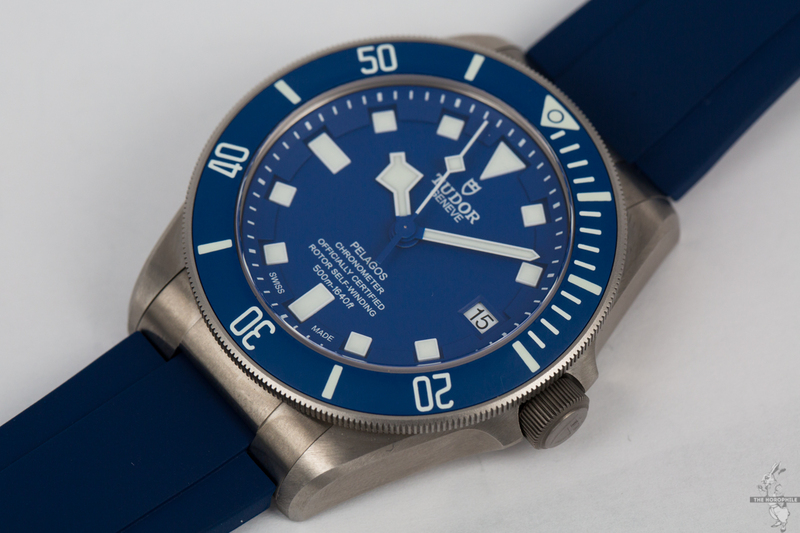 I can tell you that a number of Tudorians have been waiting for a blue version of the Pelagos, though none of us expected a blue this vibrant nor the addition of an in-house movement! 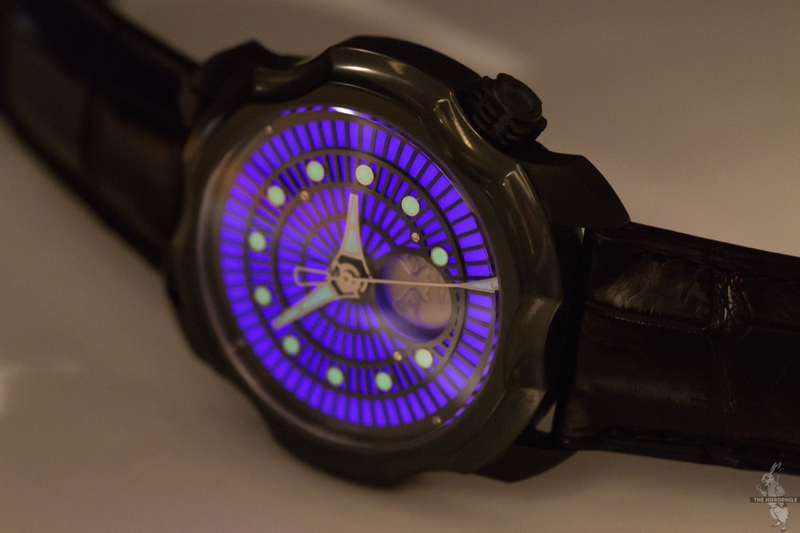 Perhaps my personal favorite watch of the year, the Sarpaneva Northern Lights is a collaboration between Stepan Sarpaneva and James Thompson of Black Badger, known for his use of unconventional (and often photo-luminescent) materials to make all sorts of ridiculously cool items from Tron-ish rings to watch straps. 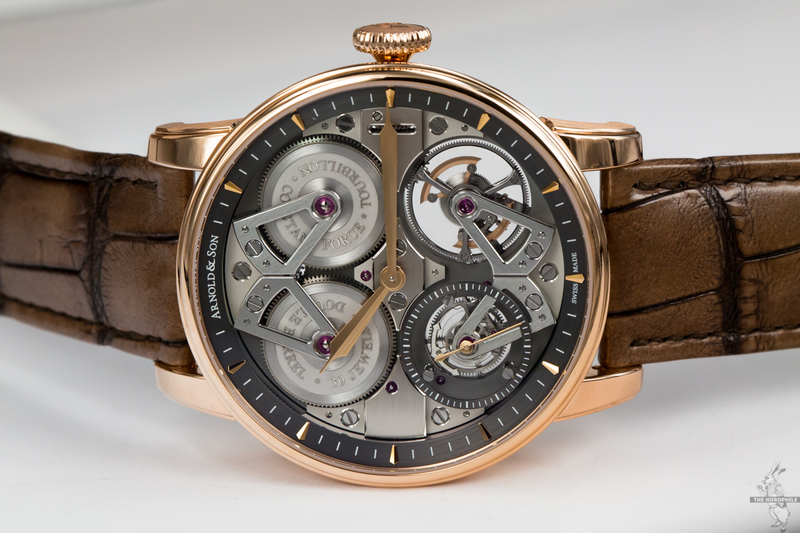 If the past few years were any indication, Arnold & Son were bound to come out with at least one talking piece this year, and it happens to be the Constant Force Tourbillon from their Royal Collection. 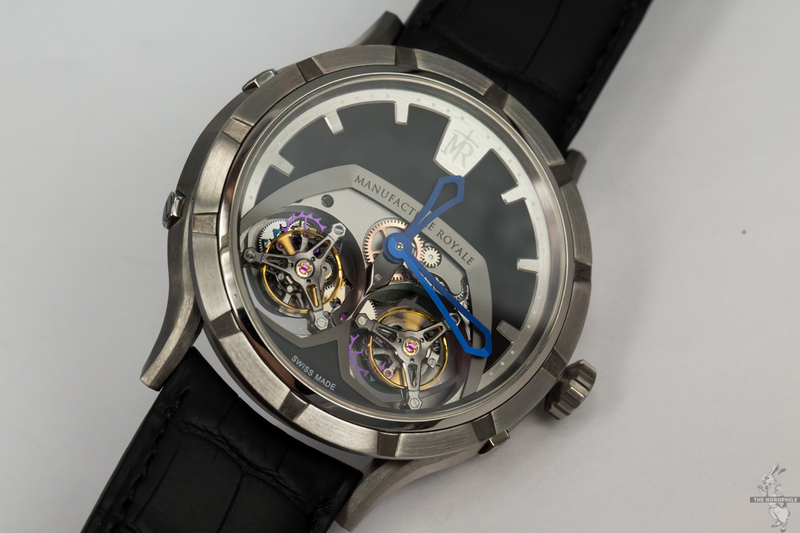 Following the inverted and open configuration of their distinguishable TB88, the Constant Force Tourbillon boasts both harmoniously symmetric aesthetics as well as a unique patented constant force mechanism, complete with a tourbillon and what’s become their signature, the True Beat seconds complication. 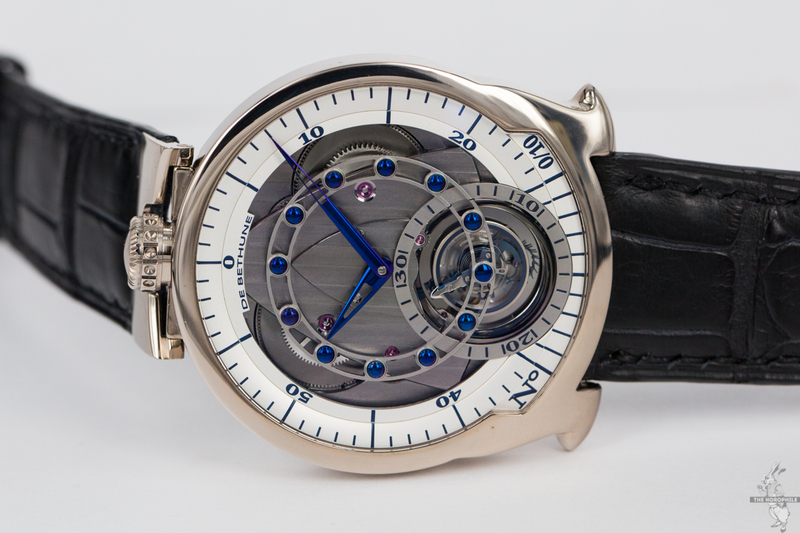 This piece from AHCI member Antoine Preziuso just has to be seen in person. His “Tourbillon des Tourbillon” boasts three synchronized tourbillon escapements that achieve resonance when placed horizontally. 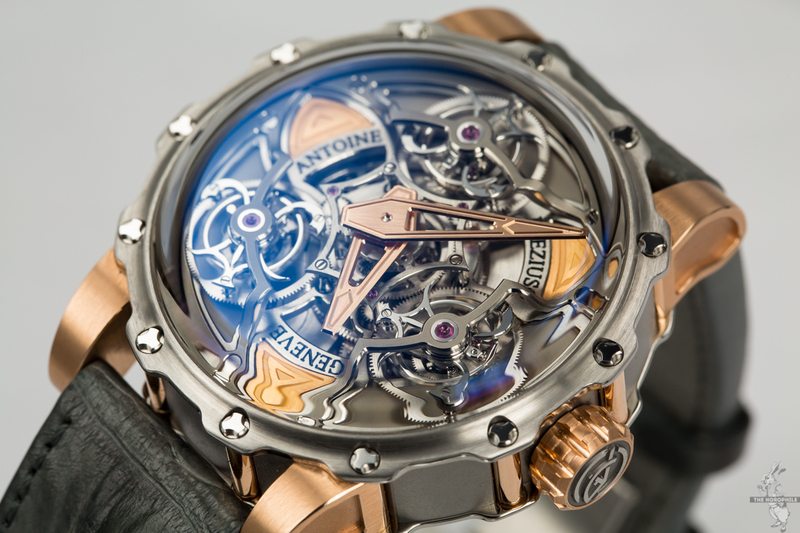 Potentially the fastest revolving triple axis tourbillon escapement ever made in the history of watchmaking, Cabestan came out in full force this year at Baselworld with a whirlwind of a watch (no pun intended), boasting not only a stupendous movement by the great Eric Coudray, but also a unique case construction involving a sapphire glass cylinder. 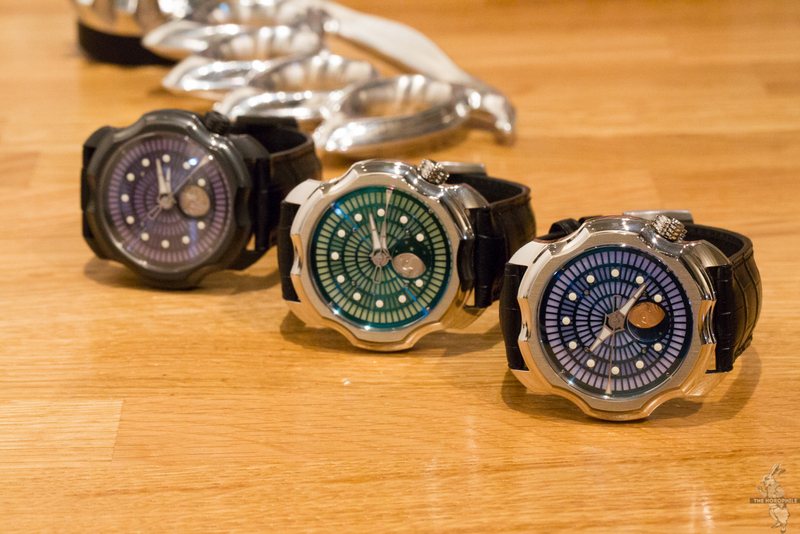 This is the typical, unexpected product that no one can pull of at MB&F. 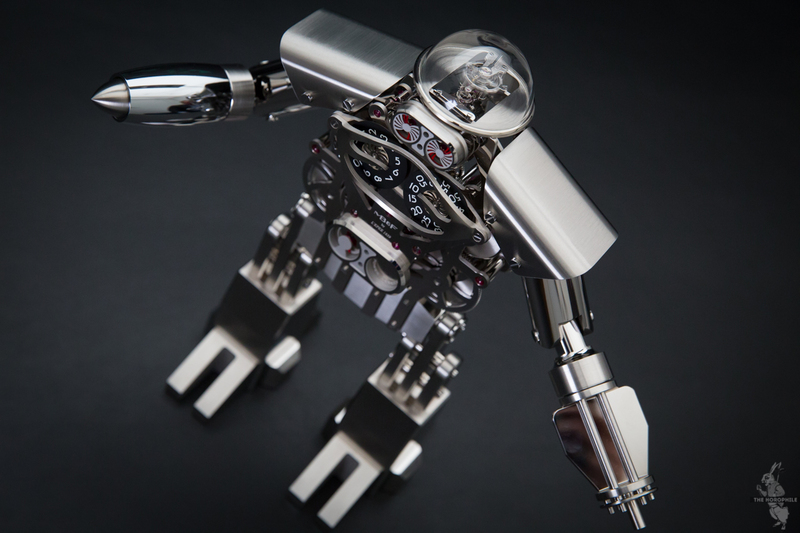 Playfully nostalgic and wickedly name, the Melchior robo-clock is produced in collaboration with clockmakers l’Epée (the ones who also worked on the Starfleet Machine) to mark the 10 years of MB&F. As a proud owner of the original Romain Jerome Spacecraft, I was a bit skeptical when I heard that the brand would be reissuing their unique movement in a new case. But the final result, designed by Alain Silberstein, achieves a very organic and ergonomic silhouette that has almost nothing to do with the original Spacecraft. The more I look at it, the more I like it. 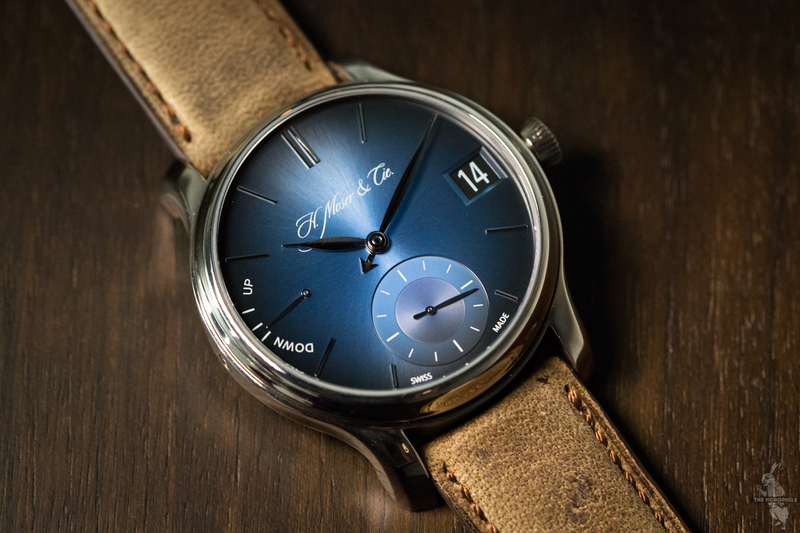 What H. Moser have dubbed as “The Original Smartwatch”, the Endeavour Perpetual Calendar saw a new reference this year, the Funky Blue. Combining Moser’s clean looks and clever functionality with a new striking shade of blue in their range of “fumé” dials, proving that a little change can go a long way. There was a time when I considered the DeBethune DBS one of the most handsome watches ever made. It’s hard to believe 10 years have already gone by, but for the occasion DeBethune have created an anniversary edition that perfectly melds traits of the original DBS with more contemporary DeBethune aesthetics and technical prowess. 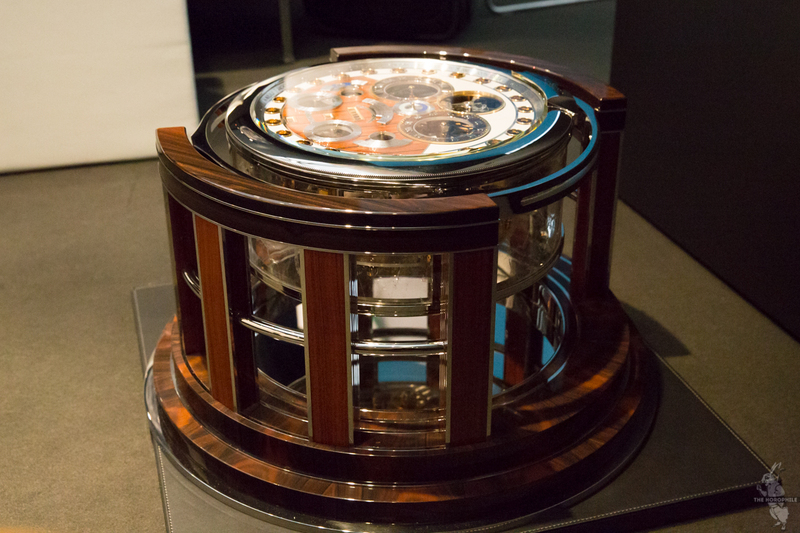 A new discovery for me at Baselworld this year was Thomas Mercer, an English company named after one of the most acclaimed makers of marine chronometers in the 1800s . 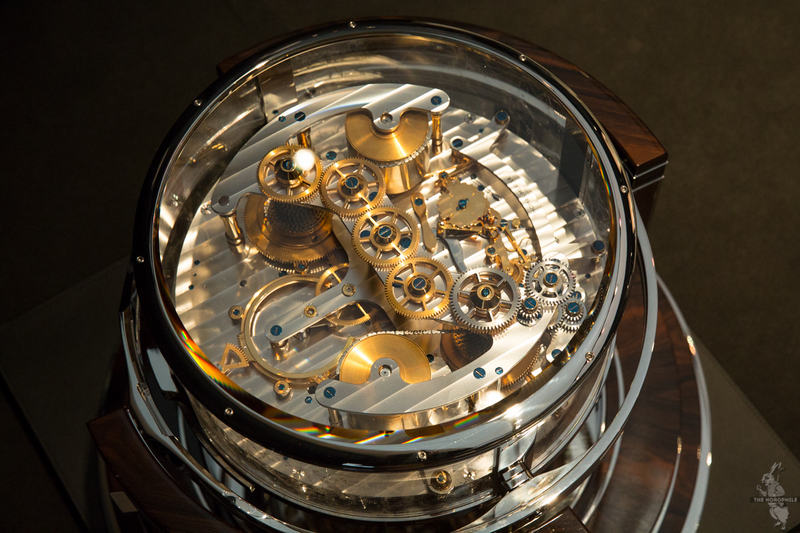 Today, the revived Thomas Mercer brand builds some of the most beautifully luxurious marine chronometers and clocks I’ve ever seen, including this unique Observatory Marine Chronometer. 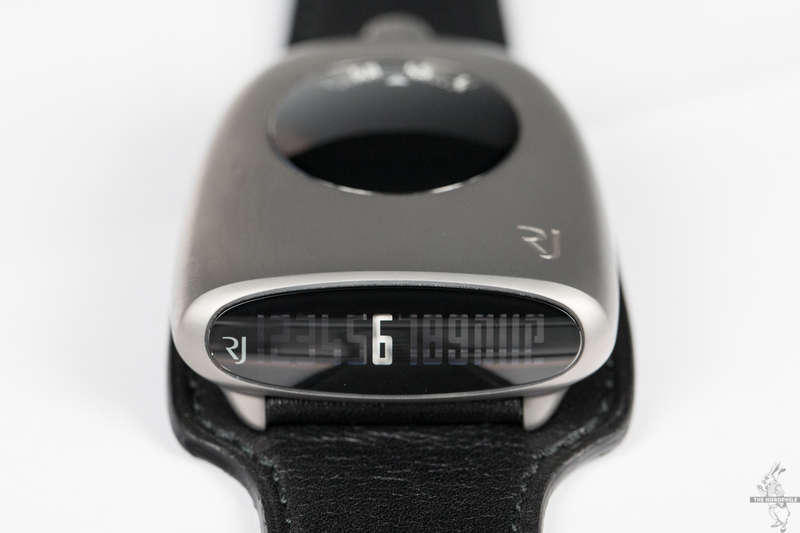 Who needs smart watches when you have “conscious” watches? All kidding aside, Chopard’s Fairmined Gold addresses some of the questionable and often just plain unethical practices of gold mining. This year they’ve added more timepieces to their L.U.C. 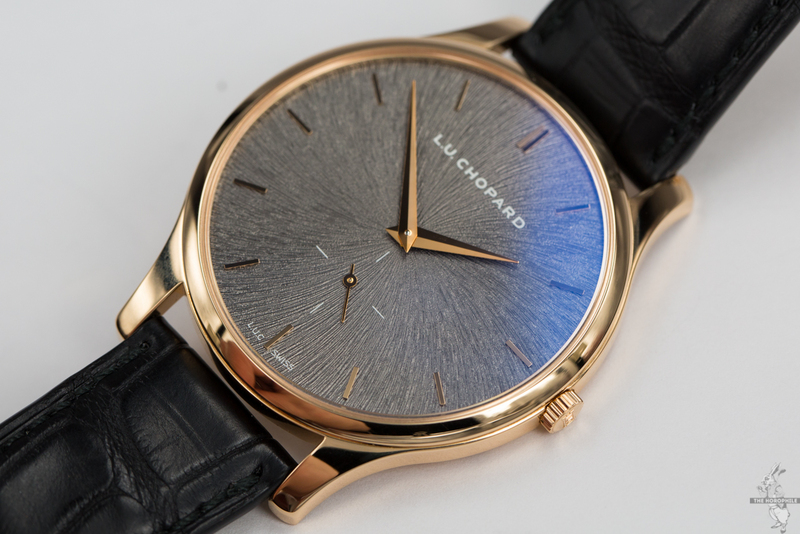 line with Fairmined Gold, with one standing out to me in particular. This L.U.C. XPS ultra-thin dress watch has one of the prettiest dials I’ve seen on a three-hand watch, made to resemble the texture of a brute mined gold. 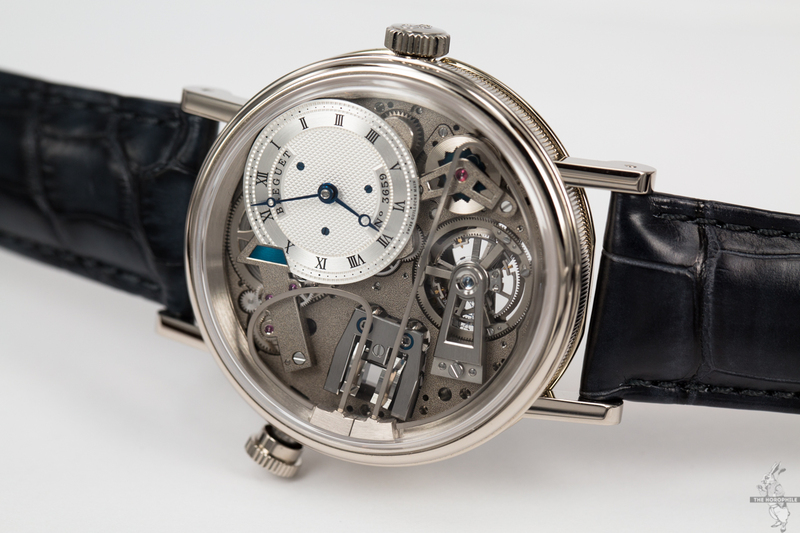 I’ve always found Breguet’s La Tradition line their most pleasing line, and this latest piece for the 10 years of the collection is not an exception, featuring a minute repeater with vertically mounted hammers and gongs as well as a tourbillon escapement. While there’s nothing entry-level about a brand like MCT, they have come out with a product at a more accessible price point (well, as accessible as independent brands can get) in the form of the Frequential One F110 collection. With the familiar square MCT case and voluminous dials, the Frequential One has a centrally-mounted escapement with the hour and minute hands around its peripheral. This is the brand’s first foray out of the sequential time display system, and I think they’ve done a great job in retaining the MCT DNA while bringing something new to the table. 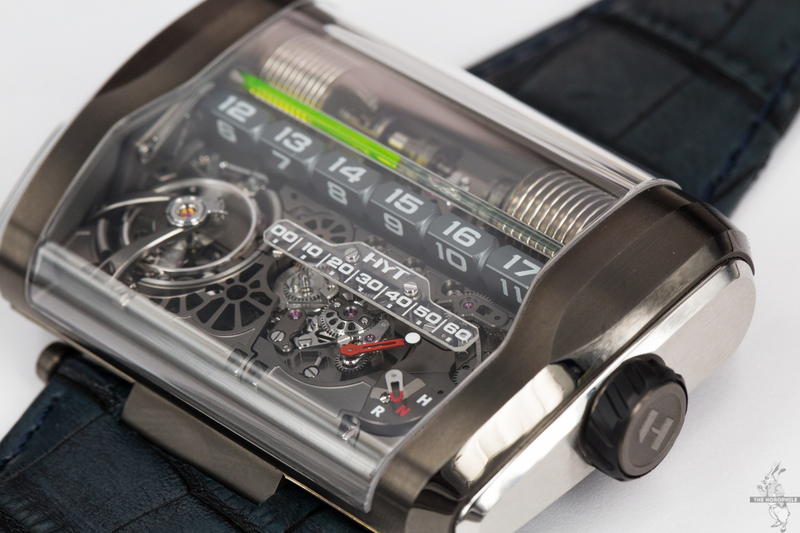 In my eyes, this is the sexiest implementation of HYT’s proprietary fluid system we’ve seen yet. Linear time indications are always spectacular, but the H3 really takes it to another level. 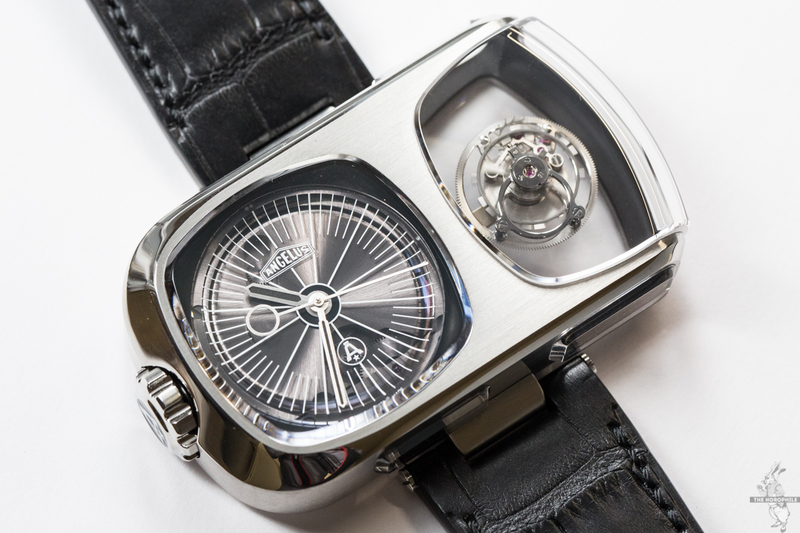 Already reviewed exclusively on The Horophile prior to Baselworld, the Angelus U10 Tourbillon Lumière was certainly one way for the revived Angelus brand to say “we’re back, but not as you’d expect”. And frankly, I’m happy that Angelus aren’t going down the easy route of just rehashing models from their archives. If the U10 marks the shape of things to come from Angelus, then I for one am looking forward. 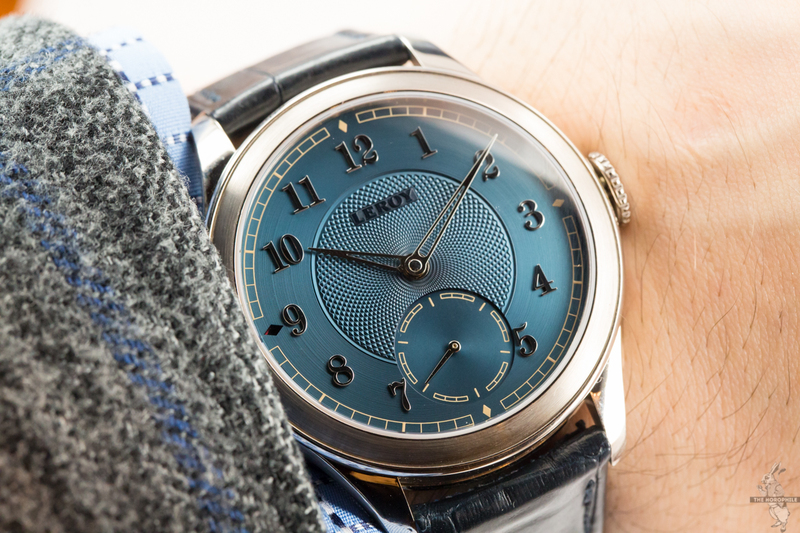 While not entirely new to The Horophile, the Leroy Chronometre Observatoire is still one of the more interesting watches I’ve come across this year, especially now that the brand has presented the final versions with a particularly handsome blue dial. Complete review of the original prototypes here. 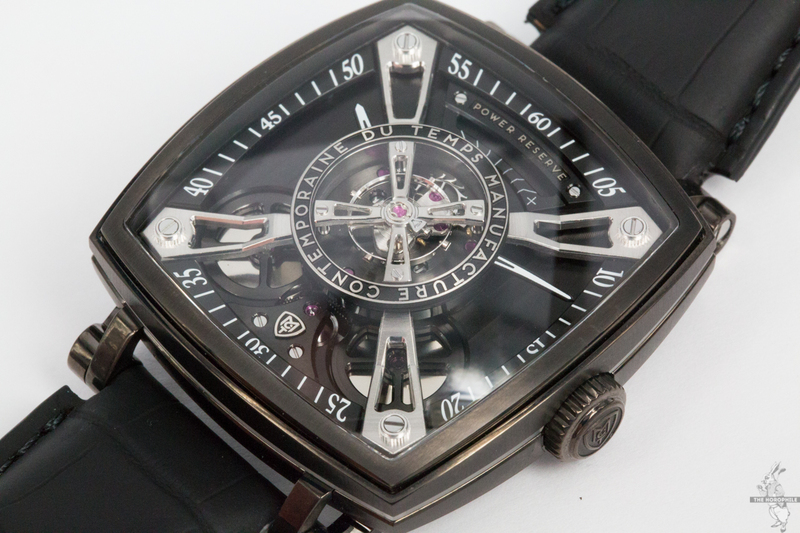 And last but not least, a piece that’s more fun and quirky than purely functional, the Manufacture Royale Micromegas. 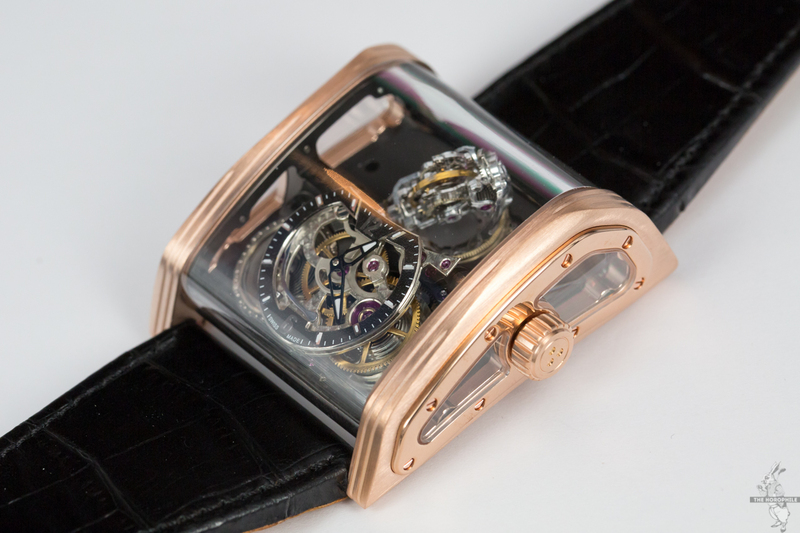 While we’ve all seen numerous double tourbillon watches in the past decade, the Micromegas is a bit different than the rest of them, with one tourbillon making a complete revolution in astonishingly fast 6 seconds, with the second doing a normal 60 seconds. This has to be seen in action to appreciate.